Maintaining your pet's oral health care is just as important as managing their blood glucose levels if they have diabetes. Brushing their teeth often and treating them to dental chews that are designed to rid their mouths of plaque and tartar build-up can greatly aid your pet's dental health and overall well-being. 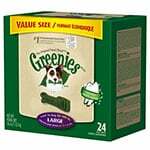 Greenies, CET Chews, Dentees Chews, and Oratene gels are all designed to offer your pet optimum oral health. 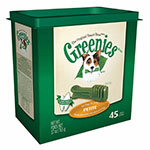 Shop some of these top brands from our pet dental care product category. What Can I Do to Help with My Pet's Oral Healthcare? 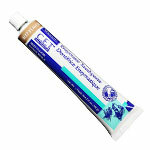 You can do a variety of things to maintain and strengthen oral health in your cat or dog. 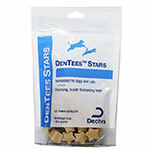 Dental Treats: These specialty treats are aimed to help rid plaque and tartar build-up in your dog or cat. 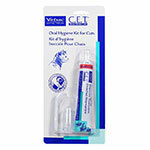 Brushing: Brushing your pet's teeth is another method you can use to remove and clear tartar and plaque from the teeth. You can use a small standard toothbrush to do this, or a finger-tip brush with rubber bristles that will allow you to remove build-up and massage their gums. 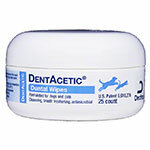 Dental wipes: Easy to use, dental wipes allow you to wipe away excess build-up on your pet's teeth. While very convenient and more easily tolerated by your cat or dog, wiping the teeth does not remove the build-up of plaque or tartar in between the teeth or at the gum line. 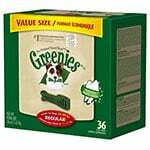 Greenies dental treats. These specialty treats are bone shaped and Green in color. 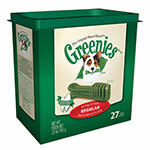 Greenies dental treats for dogs come in a wide range of sizes from Teenie to X-Large to accommodate dogs of all sizes. CET Chews. 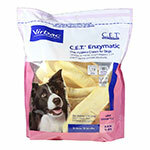 Reminiscent of a rawhide chew, CET Chews feature a rough texture that helps remove plaque while your dog chews on it. 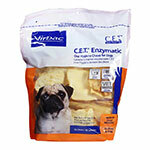 CET chews are beefhide that has been coated with a 'Dual-Enzyme System' and are poultry flavored. Oratene. This 'brushless' product is designed to offer added antibacterial properties to your pet's mouth that can boost the ability to defend against bacteria build-up which can be harmful to a pet's health, especially with diabetes. 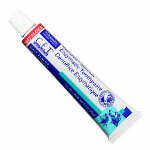 CET toothpaste. 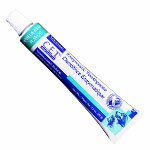 CET toothpastes feature a 'Dual-Enzyme System' that helps keep your pet's teeth in excellent health and is also safe if ingested. 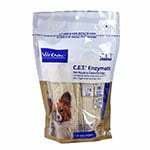 CET Toothpaste for cats and dogs are available in Beef, Seafood, Poultry, Malt, and Vanilla mint flavors. Why Proper Dental Care Is so Important?